Attention Instagram sellers, you may no longer have to worry about adding the inconvenient “click the link in our bio.” Social shopping on Instagram is coming! First, it was Instagram Stories, and now another game changing feature is being rolled out on the app. Instagram has released “shoppable posts” to a select group of iOS users in the United States. Instagram shared that it wants to develop a more e-commerce friendly future in a new announcement. More than 84% of smartphone users in the US browse, research or compare products via a web browser or mobile app. While browsing and discovery are easy on mobile, finding more information about the specific products you see isn’t always as simple. On a platform known for its power of mobile discovery, we’re excited to announce an easier experience to shop the products you love on Instagram. The roll out will feature 20 retail brands based in the United States including Abercrombie & Fitch, Coach, Hollister, JackThreads, J.Crew, Kate Spade, Levi’s Brand, Macy’s, Michael Kors, Warby Parker, and several others. These brands will have their photos feature contextual product details, clickable components, and additional information for potential shoppers. SEE ALSO: Social Media Shopping Is Coming. Does It Make Sense For Your Business? When a user taps a brand’s shoppable photo, a tag will appear highlighting up to five products and their prices. Once selected, more details will appear, and eventually, the user can tap a “Shop Now” link to go directly to that product on the business’ website. Instagram shopping will become a bigger part of the overall user experience on the app. If you are a brand that sells any product or service, then this will be a game changer for your social media marketing efforts. If you are questioning the ROI of social media, Instagram shopping will put those questions to rest. With shoppable photos, you can attribute sales immediately to your brand’s Instagram account and offer users an easy method to purchase your product. If you are first to fully utilize social shopping on Instagram, you will establish your brand as innovative, trendy, and thoughtful. New features in social media networks always create a buzz around the industry and with consumers. 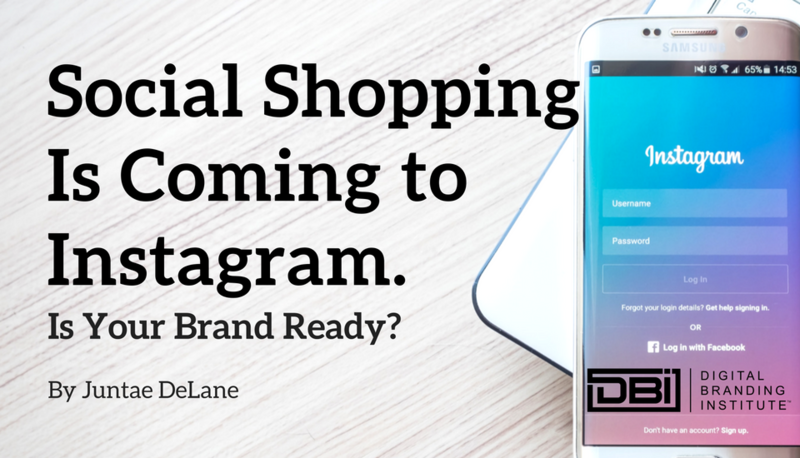 Your brand can take part in this buzz by having a full slate of products available to purchase on Instagram. Since Instagram just brought Stories to the explore section, it only makes sense that it will do the same for shoppable photos as well. If the move takes place, your brand can benefit from additional exposure to new followers and buyers. The comment section below each photo showcases more than the reaction of users. This section can showcase the (hopefully) positive sentiment users have with your product and brand which enhances your credibility overall.